Are you worried about seat availability and want to book front seats with low fare in well Advance? Well,We are here to help you show whenever a new operator service opens up for booking in future. You just give us the source city, destination city, date of journey and your contact details. 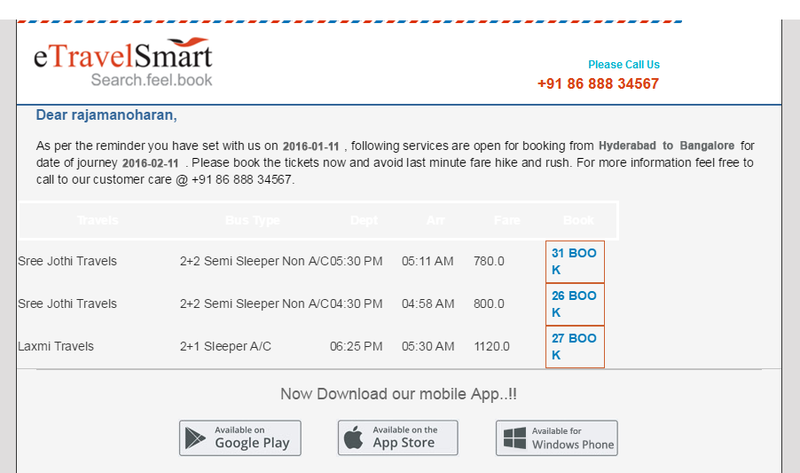 Our intelligent system sends you an email and sms with the list of available buses whenever it opens for booking. 2. Like the way you will get a mail when the buses are available on your wish dates..